Hi, I’m Kaitlyn Morgan, otherwise known as Meeple Momma. I’m a 25 year old mom of one from Ottawa, Ontario, Canada and I love board games. Ever since I was young, I’ve enjoyed board games, but I didn’t really come full blown into the hobby until around 2014 when a friend introduced my now-husband and I to a little game called Ticket To Ride. After playing, I did a quick Google search of the game and came across Board Game Geek and their entry for the game. I started looking more into the hobby and from there, my passion has grown. Writing, on the other hand, has always been something I’ve had a knack for. Combining board games with writing seemed like a great way to bring together two of my favourite things. 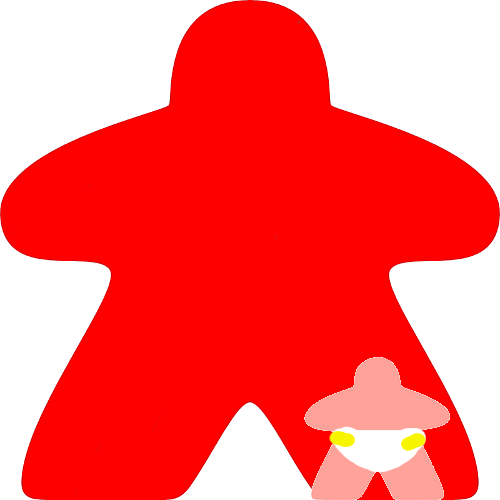 Meeple Momma was started in February of 2018 as a way of doing so. Meeple Momma is more than just a blog to me. It’s my passion project. I’ve always wanted to share my unique perspective on things with the world, and I believe that Meeple Momma is the culmination of that dream. So please enjoy the ride with me.